Last week, Hurricane Joaquin devastated parts of the Central and Southern Bahamas, causing excessive damage due to flooding and extremely dangerous winds. Over the course of a few hours, people lost their homes, businesses and entire livelihoods. In order to make it easy for members of the airport community to participate in the hurricane relief efforts, Nassau Airport Development Company (NAD) spearheaded a donation drive at its Executive Office in the old airport terminal this week. The NAD team collected food, clothing, infant items, trash bags, and toiletries from employees of various airport agencies including airlines, retail tenants, Nassau Flight Services, NAD employees and the Airport Authority. The Airlines Operating Committee donated 5,400 bottles of water, while airport retail tenant Rhythms Cafe donated 250 cases of bottled water. We wish to thank our airport partners for their kindness and support during this time of great need. 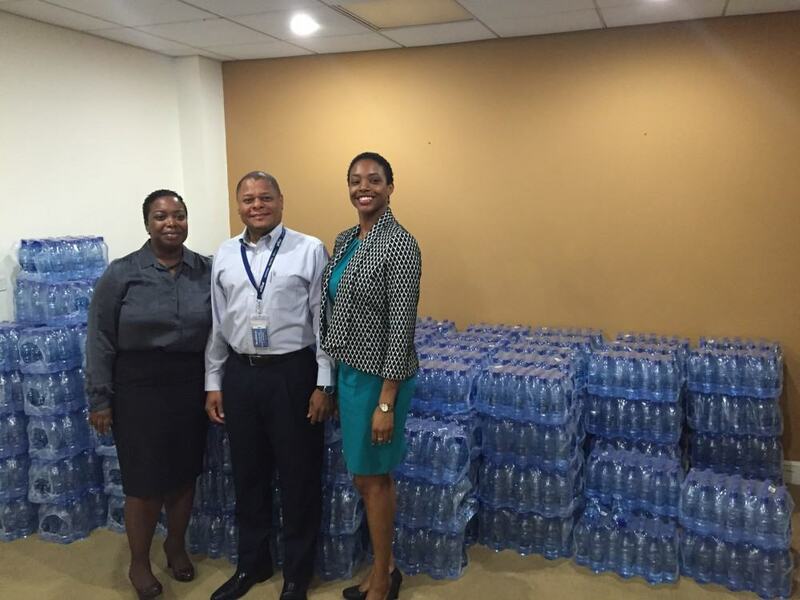 The items will be delivered to the Bahamas Red Cross for distribution to the affected islands. Pictured left to right: Jan Knowles, VP, Marketing and Communications, NAD; Alan Sweeting, General Manager, JetBlue Airways Bahamas and Maya Nottage, Manager, Marketing and Communication, NAD.